On June 20, 2016, the City issued a Request for Proposals (RFP) for the lease management of the Golf Center site for the operation of golf or other recreational or entertainment activities that would be open to the public. On March 21, 2017, the City Council selected TopGolf USA Inc. as the preferred operator of the site. On May 21, 2018 the City Council adopted an Exclusive Negotiating Agreement (ENA) with Topgolf which covers the terms of the environmental review and design review process to be completed at which time a Final Lease Agreement can be executed. The Project involves the replacement of the existing driving range with a Topgolf commercial recreation and sports complex on an approximately 13-acre portion of a City owned property. The proposed 76,489 square foot three level building would include 120 climate-controlled hitting bays along with a restaurant, outdoor dining and indoor event space. Topgolf is a premier golf entertainment complex. The proposed Topgolf facility will features 120 climate-controlled hitting bays where players hit golf balls with embedded microchips into an outdoor outfield enclosed by perimeter netting. Each hitting bay can accommodate up to six players at a time. Hitting bays include golf clubs, seating and television screens to monitor sporting events and track Topgolf scoring. Topgolf features a five-patent technology platform gaming system in which players hit golf balls embedded with a radio frequency identification tag into the proposed 240-yard outfield that will feature eleven targets at various distances. Microchips in the balls track each player’s shot in real time, giving points for accuracy or luck and making the driving range experience competitive and social. The outfield area (range) would be approximately five acres and 240 yards from the tee line (at the building) to the net line and would include ten (10) illuminated round targets that would be located 20 to 215 yards away from the tee line. The outfield perimeter would be completely enclosed by a transparent netting ranging in height from 90 feet to 190 feet high secured by steel poles. In addition to the internal building areas, an external mini-golf activation area would be located on site as part of the project as well. The project would include 522 parking spaces provided in two parking fields surrounding the main building and driving range. This is in addition to the lower parking field which is currently serving the existing driving range and soccer field. Access to the Topgolf site would be provided through a shared access driveway along Anza Boulevard as well as a proposed driveway connection to Airport Boulevard. 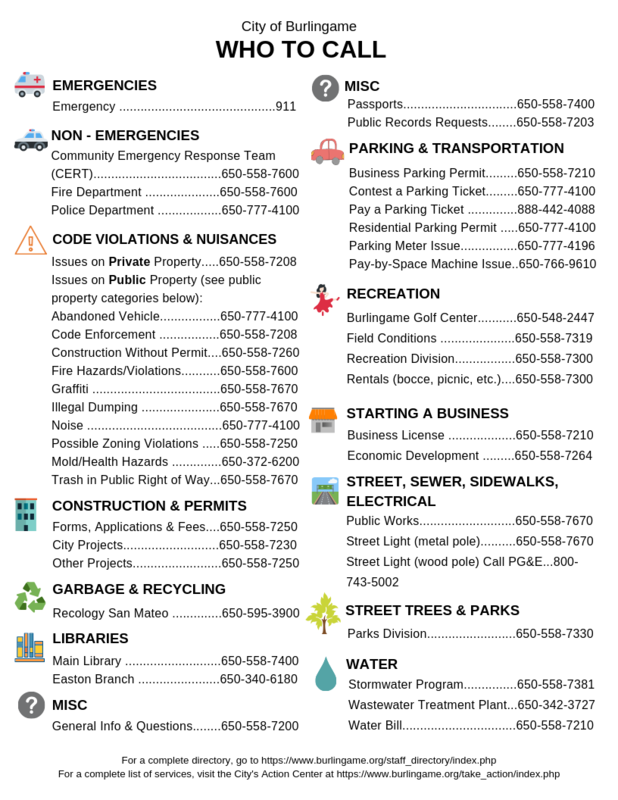 Topgolf hosted a community meeting at the Burlingame Recreation Center, 850 Burlingame Avenue, on Wednesday April 10, 2019 from 6 - 8 pm; click here to see the informational flyer. Click here to view the Topgolf presentation slides. This was not a City meeting. This project is scheduled for an Environmental Scoping and Design Review Study meeting before the Planning Commission on Monday May 13, 2019.